On 1 April 2017 Novaya gazeta reported that over 100 gay men have been brutally detained — and at least three killed — in Chechnya. 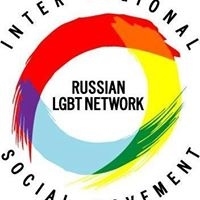 On 2 April 2017 the Russian LGBT Network issued a statement on the reports: "
The Russian LGBT Network is highly disturbed and concerned about the information on the kidnapping and killing of people in Chechnya because of their sexual orientation. We are also outraged by the reaction of the officials of the Chechen Republic, who in fact justify the killings. No national and/or religious traditions and norms can justify kidnapping or killing of a human being. Any references to “traditions” to justify kidnappings and killings are amoral and criminal [read the statement in full HERE]"
Provide international organizations, which control Russia’s observance of its international human rights obligations (UN, the Council of Europe, OSCE), with alternative reports on the situation of LGBT people in the country. Hold round table discussions, seminars, conferences, trainings etc. At this point in time the Russian LGBT Network has regional devisions in 16 regions of the Russian Federation.